The weeks following a birth can be both a difficult and delicate time for any new parent. 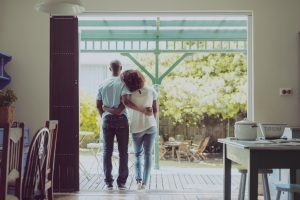 On top of adjusting to looking after a new member of the family, there is also so much healing to be done as a new parent. In light of the fact that about a third of New York City births are cesarean, there is surprisingly little conversation about what we can do to support ourselves and our loved ones after this procedure. Cesarean surgery can be a life saving procedure, and we are fortunate to have this option readily available in all of our hospitals. However, it’s worth noting that it is not by any means a trivial experience, and that it is in fact a major abdominal surgery. Because of this, new parents who have recently had a cesarian really need to harness their strength in two ways: they have to start adapting to all the usual challenges of welcoming an infant into the world as well as recovering from a significant internal surgery. But armed with evidence based information and a healthy dose of Chinese medicine, new parents can have a quick recovery and a satisfying postpartum period. Chinese medicine is a powerful tool to support your recovery from a c-section; in fact, Chinese medicine actually views the postpartum period as the “fourth trimester,” a unique opportunity to reboot the health of the parent. By using moxibustion, your acupuncturist can help to improve healthy blood circulation and speed up recovery time for both internal and external surgical sites. This treatment should begin within 5 days of coming home – this is a great time to take advantage of YinOva’s home visit services. Acupuncture is also able to settle the nervous system so that traumatic emotions can be processed rather than sinking into a long-term pattern. Your practitioner can also help you identify a meal plan that is not only in line with your body’s path to recovery, but that supports your breastfeeding goals. And down the line, regular acupuncture treatments will encourage better scar recovery. light easy to digest meals like warm vegetable soup is a good way to provide the body with easy-to-access nutrients. This allows the body to focus on the immediate goals of healing rather than spending it’s resources on digesting heavy foods. 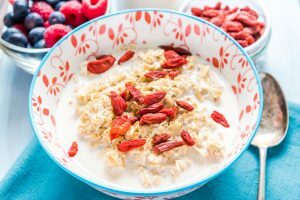 After a few days foods like oatmeal with goji berries for breakfast, and protein sources like salmon can help support a healthy milk supply. One of my favorite books on this topic is The First Forty Days. Sometimes it can take a little longer for the body to establish a milk supply after a cesarian. If you know in advance that you’re not going to have a vaginal delivery, you can check on your hospital’s policies about supporting breastfeeding after surgery. Allowing the baby to immediately rest on the parent’s chest is part of a technique known as “family centered cesareans” and can help stimulate milk supply. If the cesarean was unplanned, you might want to consider hiring an outside lactation consultant who can give you personalized support in this process. Your local La Leche League is another great resource. Birth is an emotionally-packed experience, and a cesarean birth is no exception. In addition to the usual rush of feelings that come with finally meeting this new little human, many parents have emotions of trauma, disappointment, detachment, or guilt tied into the mix. Family centered cesareans are designed to help mitigate these feelings by supporting parent-baby bonding from the get-go. Surrounding yourself with people who understand that your feelings are valid and normal can also be helpful in processing those emotions. This may mean identifying supportive family members; joining a caesarian support group; or working with an experienced postpartum doula.